The ins and outs of hybrid IT | Faction Inc. Hybrid cloud environments are becoming more popular as IT infrastructure continues its trend toward streamlined management strategies and cost-effective technologies. By keeping some data and applications in on-premises environments and moving the rest to the cloud, organizations can tap into the benefits of both kinds of computing and manage resources more efficiently. The movement to cloud infrastructure is accelerating, and these mix-and-match environments are becoming more commonplace. According to a report published in March 2015 by MarketsandMarkets, the hybrid cloud vertical, in particular, will reach a total value of $84.67 billion by 2019, growing at a compound annual rate of 27.3 percent beginning in 2014. This serves to show that adoption of hybrid IT and cloud infrastructure is growing at a rapid pace, and organizations that are turning to these types of deployments are enjoying several business benefits. Cloud infrastructure can provide that vital bridge between legacy systems and new technologies. By deploying a hybrid IT strategy, organizations can take advantage of cost-saving measures and better resource allocation – basically, hybrid infrastructure ensures that you’re getting the most out of your IT environments. The benefits of cloud computing apply here – the flexibility and scalability inherent in the cloud allows businesses to create better return on investment and reduce operational expenditures in the long term. Innovators are using hybrid infrastructure to reduce time to market for important applications and cut costs associated with cloud upkeep. For instance, FICO, a company that provides analytics and risk-management software to businesses across the board, recently embarked on a foray into the cloud in order to make its services more accessible. In order to do that, FICO deployed a cloud solution. The move allowed this company to streamline how it delivered its predictive analytics solutions and facilitated access for both existing and potential customers. In all, Trkay and his team were confident that deploying hybrid cloud was the right answer. Here’s an important advantage of hybrid IT: saving money. According to DataCenterKnowledge contributor Toby Owen, organizations’ IT budgets have played a role in the steadily accelerating adoption of hybrid cloud and these mix-and-match environments in general. Due to the overall cost-effective benefits that hybrid IT brings to the table, companies have been able to turn their budgetary attention to other important tasks, instead of needing to invest as much in the underlying technology. 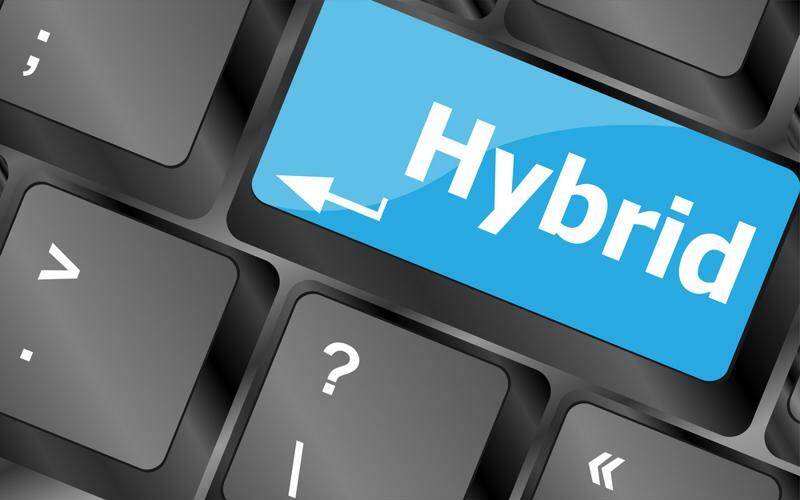 Hybrid IT environments can help organizations save money. When discussing the cloud’s benefits and drawbacks, there will inevitably be a question about security. The interesting thing about hybrid environments is that since you can choose what you deploy in the cloud and what you house in on-premises infrastructure, you can keep your most sensitive data and applications in the place that has the most security attached to it. In beginning a migration to the cloud, CIO contributor Mary Branscombe stated that it’s best to start with the lower-risk applications and then move upward. When it comes to keeping data safe in the cloud, there are several strategies that organizations can undertake. One of the ways to maintain security is by deploying a layered approach – making sure each level of IT infrastructure has its own security solution. The cloud security services market is expected to reach a value of $8.71 billion by 2019, according to a report published by MarketsandMarkets, so there are no doubt products – e.g., firewalls – that can enhance this kind of layered security strategy. Deploying a hybrid IT strategy offers several important advantages for organizations that are looking to migrate to the cloud but don’t necessarily want to move all of their data to the virtual realm. As these kinds of IT deployments become more common, legacy applications and infrastructure will continue to benefit from hybrid environments.